By now, many have heard of the term “gamification.” Before going any further, let’s formulate what gamification boils down to. Gamification is “introducing gaming dynamics into a non-gaming context.” But why introduce gaming dynamics? Because games are addictive. In essence, each and every game is played because it combines two factors: “wanting” and “liking.” These two factors drive increased engagement and intrinsic motivation (on part of game players). If a company or its product – from whichever industry – can offer (by means of gamifying) these two psychological justifications, it has a potential to increase engagement and loyalty to itself and its product. Many have come to think of gamification as something that is associated with marketing and related to technology. While both cases might be true in the 21st century, gamification is becoming a significant driver for evolution of modern societies in all their aspects. Since recently, gamification has been disrupting and transforming some of the fundamental pillars of society: banking, health/wellness, science, transportation, education and environment/food chain. In banking, interest in gamification is driven by the perceived threat of new non-bank entities (Square, Mint, Google Wallet, etc) entering the market. The Infosys study asked banks what they consider their biggest threat going forward, and mass exile of customers to new (financial services offering) startups was perceived as one of the biggest threats. To tackle that threat by increasing loyalty and engagement of customers, many banks (especially in South East Asia) are now adopting gamification methodologies. Hana Bank, one of the winners at BAI in 2013, gamified elements of its online and mobile statements so that customers could play/interact with their spending categories. 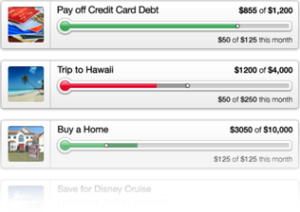 The popular personal finance site Mint is helping its customers to become financially “fit” by allowing them to define financial goals and managing their credit cards and debts. In health/wellness category, Fitocracy was created by two former gamer geeks turned fitness geeks. 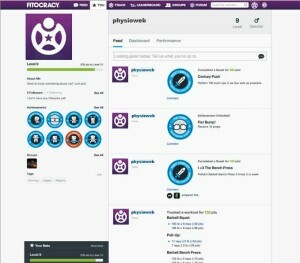 On Fitocracy, members log their workouts, earning skill points that allow them to “level up.” Each level unlocks “quests,” challenges for users to advance further or try new types of exercise outside of their comfort zone. As of March 2013, Fitocracy boasted 1 million actively engaged (only Facebook garnered more engagement from those) users and the support of Arnold Schwarzenegger. platform to gamers/amateurs who played a protein-folding game, unlocking the 3D structure of an AIDS-related enzyme in one week. 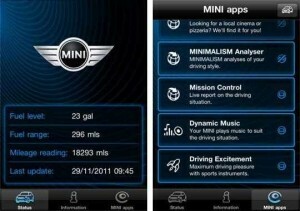 In transportation industry, since beginning of 2013, Mini owners have already been using Mini Connected app. And few months back, Google and Volkswagen America launched a joint initiative called SmileDrive. So far, it’s an Android-only app offering the ability to create a Smilecast: a dynamic travelogue filled with the captured photos, maps of the trip, status updates, etc. on a single URL. It also allows to measure distance, time and weather and share all that information with friends. In education, one initiative, Khan Academy, stands out more than the others. It started in 2004 with Salman Khan, an American-born Indian-Bangladeshi with degrees from MIT and Harvard, trying to teach math to his cousin, initially using Yahoo Doodle notepad and, later, YouTube for the growing number other friends/relatives. Khan Academy, largely due to being free, is now an education platform that has a personalized learning dashboard, with over 100,000 exercise problems, and 5,500 YouTube lectures on topics as varied as physics, microeconomic and computer science. A significant factor, apart from being free, is that it has number of gamification elements, including skill growth trees, problem-solving streaks and progress bars. The platform, as of 2013, had more than 6 million active monthly users and reported increase of successfully advancing students from schools. In environment/food chain, a number of initiatives are pushing boundaries of status-quo by innovating and introducing more sustainable practices. Award-winning RecycleBank rewards people for taking everyday green (and e-green) actions with discounts and deals from more than 3,000 local and national businesses in the UK, the US and Canada. 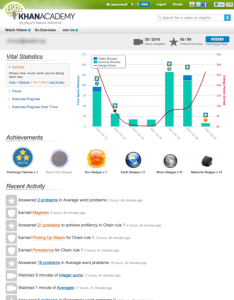 Users earn points for answering quizzes, performing energy-saving tasks, recycling garbage, etc. which then become eGifts, coupons and discounts and can be redeemed for over 20 categories of goods at Wal-Mart, Starbucks and other retailers. RecycleBank also allows donating points to charities, non-profits, etc. mPaani, a water-related initiative, offers a loyalty program that gives users points towards water-related infrastructure or sanitization projects for purchasing mobile credits from sponsoring companies, as many of these communities have no clean water but many mobile phones. FreeRice, a food initiative, prompts its users (students) to answer simple trivia questions. 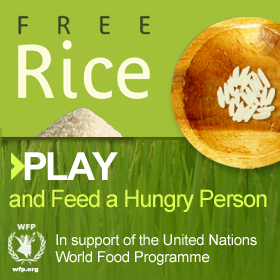 Getting each question right earned a user ten grains of rice for WFP and was funded by ads. Users end up learning new skills, while helping to feed hungry people elsewhere in the world. Each of these companies is the vanguard adapting and promoting the new approach in each of their respective industries and domains. They push the envelope of what is possible by embracing 21st century technology and benefiting from wealth of research and analysis of behavioral economics, human psychology and motivational theories, all of which are incorporated in gamification and its varied applications. As each of these companies defines new standards in their industries, each helps, in one way or another, our societies to either solve a hitherto unsolved problem, do things more efficiently than before or invent new technologies and methodologies that would offer a bigger benefit or value to the society as a whole. While it can be debated for long time whether gamification is a fad or is here to stay, two things are becoming increasingly clear: its universal adaptation outside of its original realm, technology, and its impact, assessed on short- and perceived on long-term for those industries and domains. Gartner, Inc. predicted in 2011 that by 2015, 50% of organizations that manage innovation processes will gamify those processes, and that by 2014 more than 70% of Global 2000 organizations will have at least one gamified application. In 2012, it also warned that 80% of then gamified applications will fail by 2014 mostly due to poor design. Thus, gamification, while obviously gaining ground, champions and adopters across industries, is not without its own pitfalls and mirages. Just like Google and Xerox before, the term “gamification” now bears a certain connotation and was added to the Oxford Dictionary 2011 Word of the Year Short List. There is a word “evolution” in the title of this article, and it isn’t by chance. 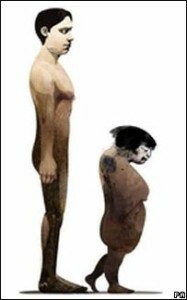 Few years ago, there was an article on BBC News predicting that humans will, in few thousand years, split into two separate species. The world, in all its multiple facets and forms, is evolving and so do modern societies. Gamification, while an important presence throughout human history, is taking a fresh and significantly more powerful role in shaping this evolution of modern societies. The question is whether you and your company would be on the right or wrong side of this evolution in the long-run. Decide for yourself. Decide today. Hayk is a consulting partner at Gametize, based mostly in MENA region. He is a consultant (marketing, innovation, gamification, social media, org dev), entrepreneur (@kartagapp, @engezni), TEDx speaker,advisor/coach (@thezimbabwean, @verdademz, @mtramadv), and volunteer (@takingitglobal).